Check out this post for details on entering this challenge. This is my color challenge card. I substituted Ice Jade for Sea Glass. I used the Butterfly Garden Rollagraph, inking it with a base of Curry Archival Ink. After rolling it out once to remove most of the ink, I then re-inked it with Canary, Scarlet and Ice Jade Inks. I love how the Curry base allowed the colors to blend together creating a very soft pattern. I then added 3 brads to the centers of the flowers and painted some Smooch Ink on the flower petals with Illuminate, Siren and Gold Lame Inks. I stamped the sentiment with Wicked Black. 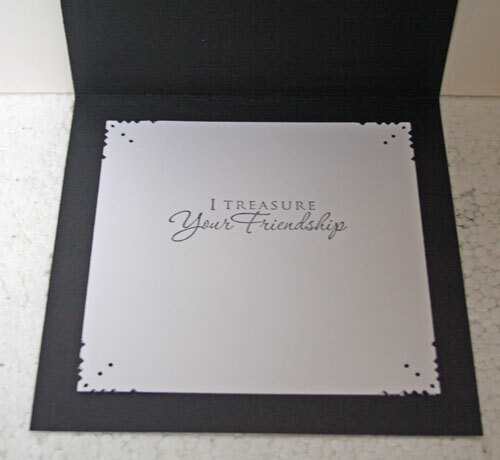 Just a cute little card for someone special! I used a pre made card and cut cardstock to fit. 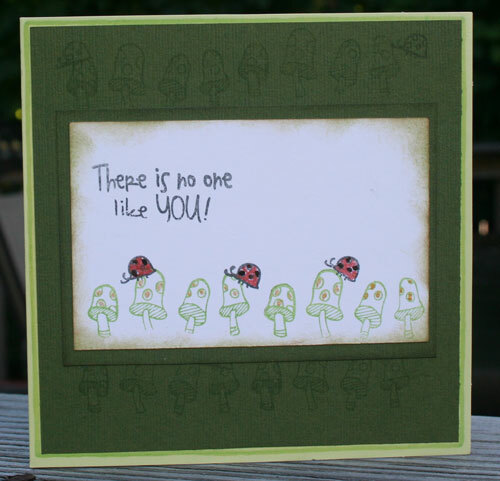 Using Grasshopper Ink, I stamped the mushrooms on the cardstock as I wanted a soft, subtle look for my card base. I stamped the mushrooms again in Grasshopped Ink on white cardstock. Then I added the ladybugs and the sentiment with Wicked Black Ink. I inked around the edges of the white mat with Chestnut Roan Ink, then matted it with green cardstock. I used Wicked Black around the edges of this mat to help it stand out from the card. Then I colored the ladybugs with Siren and Molasses Smooch Ink. I used Gold Lame Smooch on the mushrooms. 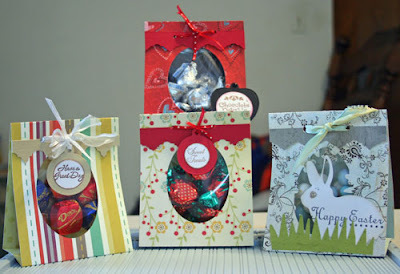 Check out my newest post at Scrappin Stuff for instructions on completing these cards. I started with a card base I created with my Spellbinders Grand Calibur dies. Check out that Karen Foster die - isn't it amazing! 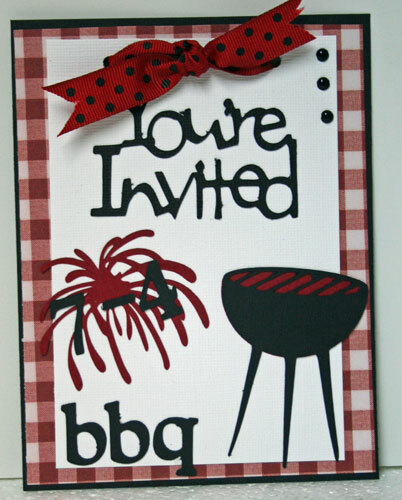 Thought this would be great for a 4th of July invite. Used my Cricut Expression for all the die cuts. If you need to make some quick treats, these are perfect and really quick to make. 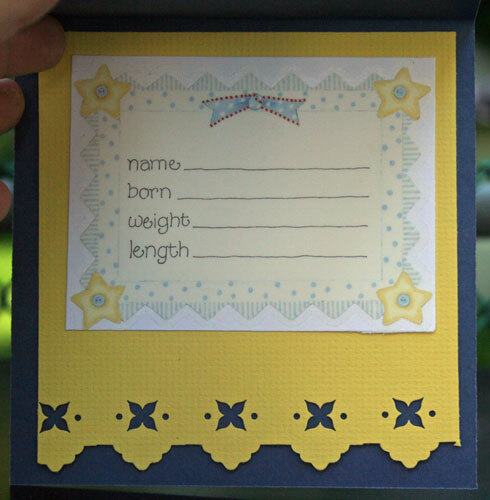 Just grab some pattern paper, a punch, some ribbon, die cutting machine or dies and your Scor-Pal. 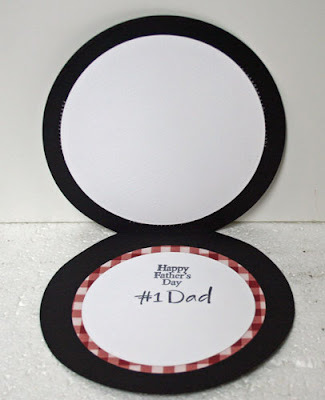 The ovals were cut with my Cricut Expression, using the Plantin cartridge. The punched border is a Kreaxions punch and the stamps are Justrite. I used the Easter 2010 cartridge to cut the egg and bunny. I used Spellbinders Nestability Ovals to cut this one. I placed some candies in a little bag and stapled them to the top. The ribbons were added to tie the bags together. 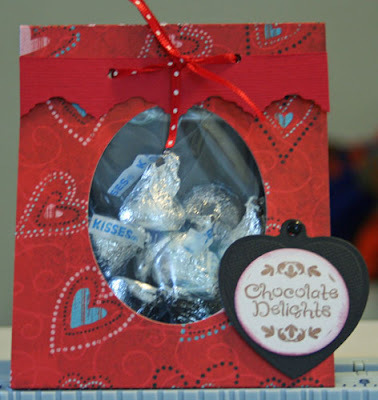 These treat bags are super easy to make and the Scor-Pal just makes it that much easier!! 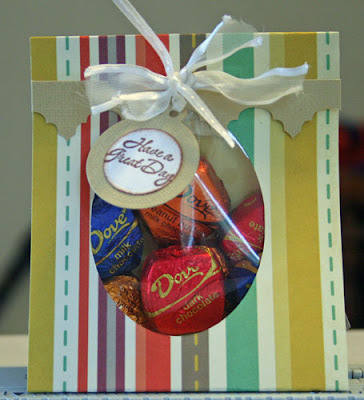 I recently got my DT box from Clearsnap filled with amazing products, so I just had to play. 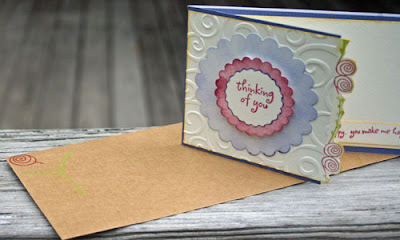 I created this Thinking of You Card for the Clearsnap blog . 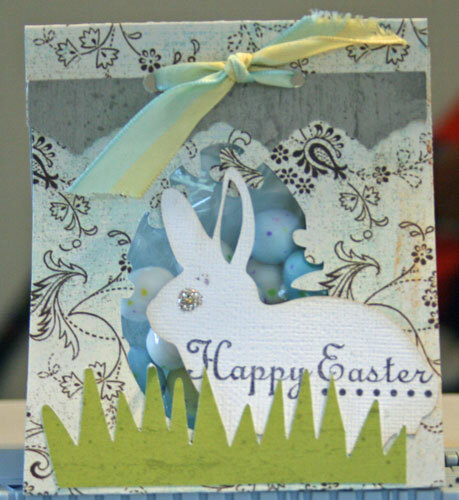 Join Niki Meiners on the Clearsnap blog as she hosts the inaugural Colorbox color challenge. Create a project using the color combo provided by Niki and post a direct link to it via Mr. Linky on the challenge post. Thanks to everyone for participating in the Just Imagine/Kreaxions blog hop. How lovely of you to offer up an additional prize. 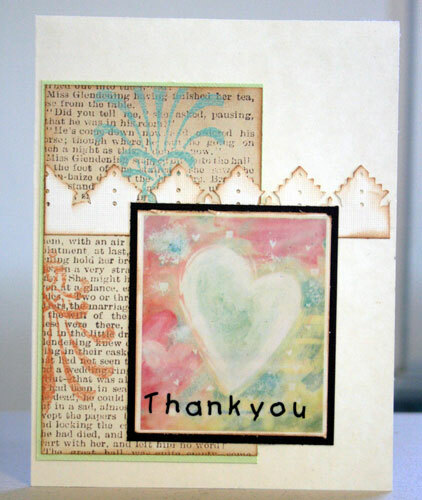 Your card is lovley and how creative of you to work with your "happy accident" - doesn't look like a mistake at all! Ann, let me know which punch you'd love to have! Love the lattice! Great job! Followed also! Please provide me with your names and addresses so we can get your prizes out. Date: Saturday June 11th 12:01am EST - Sunday June 12th 10pm EST ***all day Saturday and Sunday. Winner to be chosen by Monday PM. That gives you all weekend to join us, blog hop and play along with the amazing DT who are ready to inspire you especially now that we are well into June... the kids are almost done with school, flowers popping, planning those special summer holidays... and our Theme: Summertime (anything goes) will be so much FUN. Just Imagine Crafts/Kreaxions Punches Site is offering 2 Kreaxions Punches of your choice as the Grand Prize. Each DT will also offer a ballot for a random draw for a Kreaxions Punch for a prize. And be sure to check as some DT members are hosting their own prize too. Lots of ways to win. My project for the hop is a card using both the Kreaxions Butterfly and Lattice Dies. I had so much fun with this summertime theme. The lattice die is quite intricate and cuts out all the little interior pieces; however, I didn't have the pressure right so it left pieces in the center. So I created this card as a "happy accident". 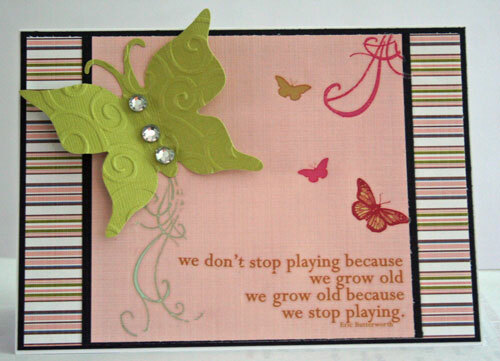 * I die cut the lattice from white cardstock and the butterfly from pink cardstock. I embossed the butterfly with a Cuttlebug Script embossing folder which I first inked with Color Box Iced Blue ink. Then I inked the edges of the lattice die in the same color. I used scraps of paper in my stash to create the card - it was based on the June sketch. 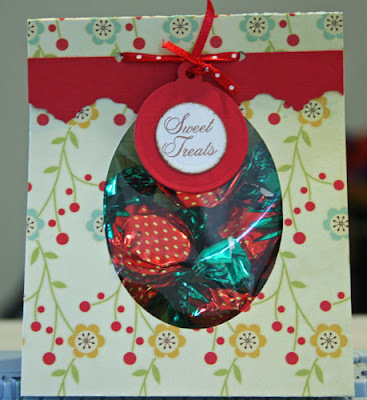 *check this post for another look at how I used this lattice die cut with the correct pressure. 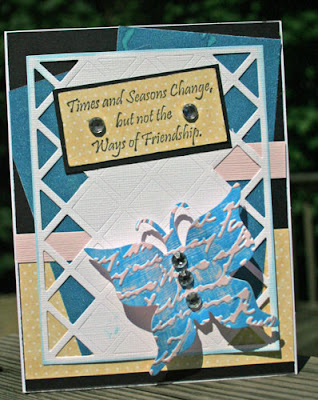 This card again uses the butterfly die which I embossed with the Cuttlebug D'Vine Swirls embossing folder and gently curled around my fingers. Lots of rub-ons added to the summertime theme. donated by Just Imagine Crafts/Kreaxions Punches. 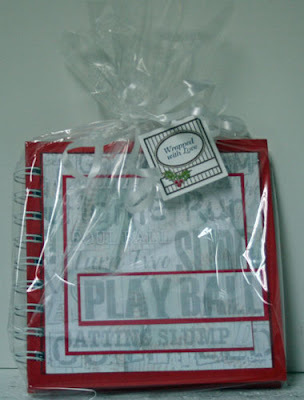 Also if you play along and follow our rules for the June Challenge and post your project this weekend during the blog hop time allotted ... you get an extra ballot to the main draw. 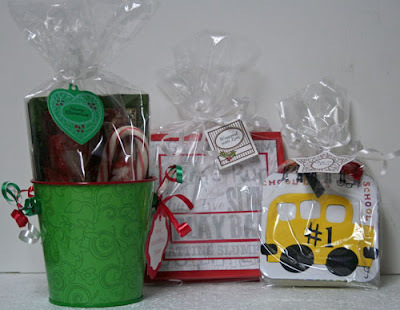 If you didn't start at the beginning of the blog hop be sure to because you don't want to miss out on any of the added fun surprizes. Hope you had fun ... we sure enjoyed having all of you visit us. Thanks everyone and have a great weekend. Now you should go to Valerie's blog. 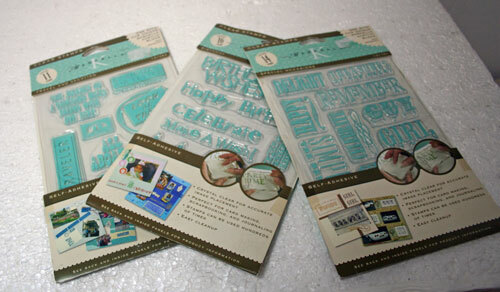 Have you seen the new Justrite stamps they are debuting this week? I absolutely love them!!!! I know it's early and considering the really bad winter we had, I certainly do not want to rush the holidays, but I just got a new set of stamps and coordinating Spellbinders dies from Justrite and I had to play!!! You know it's never too early to start thinking about teacher gifts. 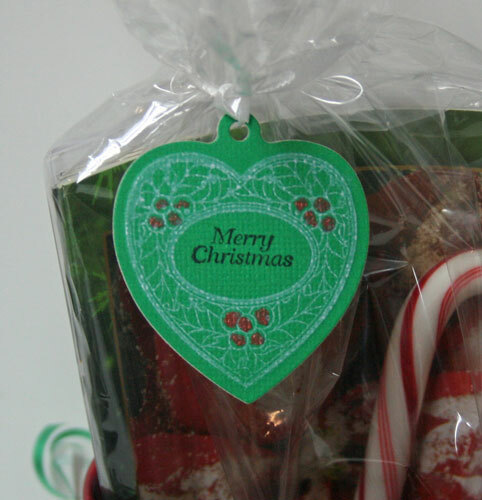 I used the heart shaped Christmas stamp, stamped it on green cardstock with Clearsnap white ink, then colored in the berries with Clearsnap Smooch ink. 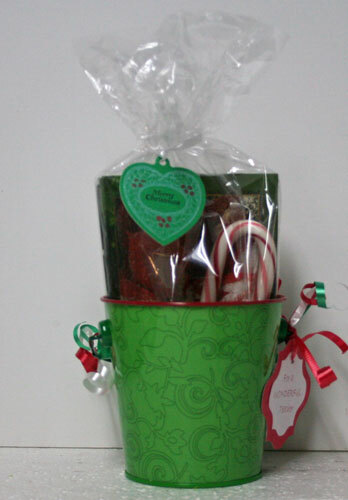 This little metal bucket holds note cards, a pen and a candy cane. 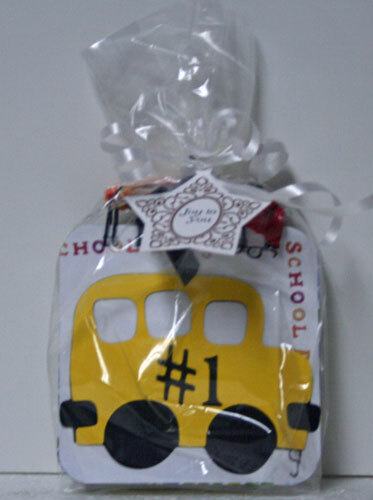 This little post it note holder is a great gift for a bus driver. I stamped the star with Clearsnap brown ink and embossed with clear embossing powder. What bus driver wouldn't love to get a little something! This 5" x 5" spiral bound book has been covered with sports themed papers - great gift for a coach or anyone who plays sports. 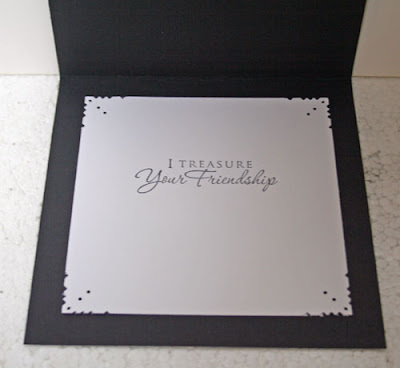 I stamped the square image with Clearsnap brown ink, then embossed with clear embossing powder. Once set, I painted the holly and berries with some Smooch ink. Very easy to make and the tag looks amazing. 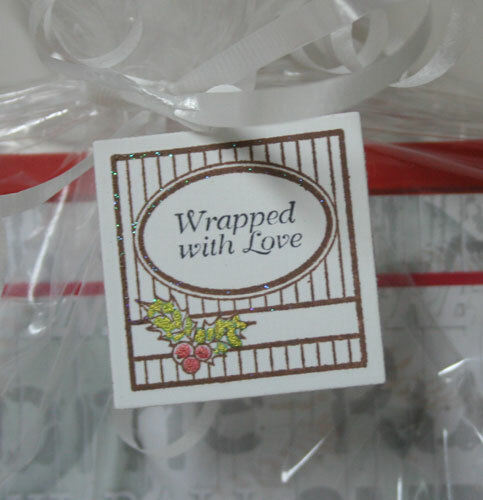 I didn't think I would need another Christmas themed stamp set, but I'm thrilled that I purchased this set thinking of all the fun tags I can create this year. I wanted to show you how to create 2 totally different cards using Kreaxions Punch 907. Be sure to check out the Just Imagine site for lots of inspiration. 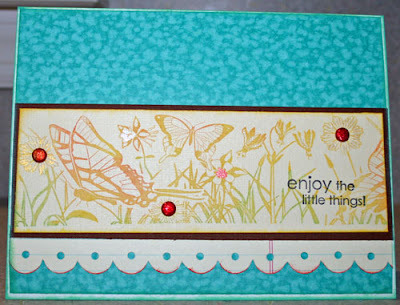 I punched the border on this Thank You card without the inserts and love the different style border I got. It's quite dramatic, don't you think? Since I wanted the focus on the punched border, I used a small piece of pattern paper which I matted on cardstock. 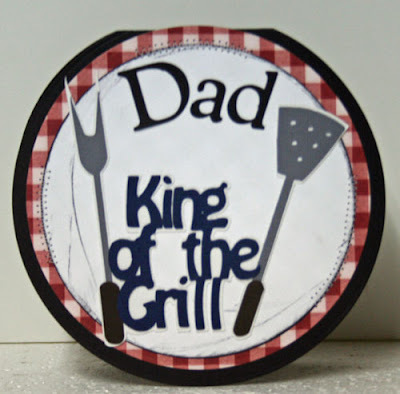 I lightly inked the border to give it a more dramatic look, then added a sticker with my sentiment on top. 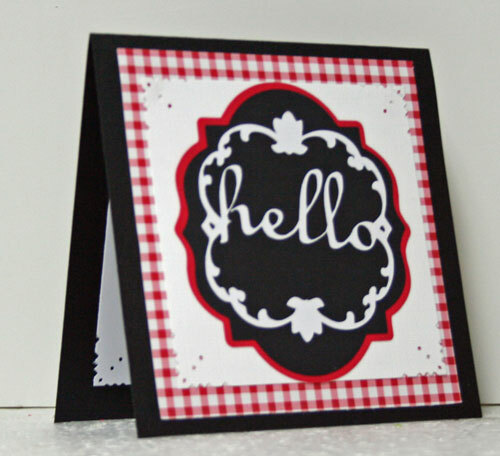 For my Hello card, I decided to create a square card and used Punch 907 with insert B on the top panel of white which I used to frame my sentiment (cut with my Cricut). Then I created another panel to frame my inside sentiment and again used Punch 907 with insert B on the edges. I love being able to get different looks with these punches. 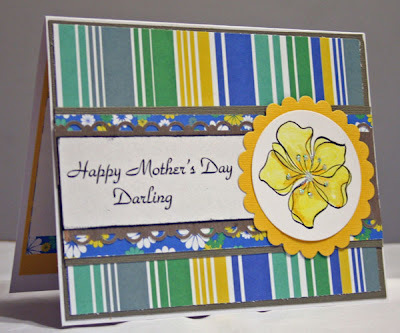 Just another Mother's Day card I made using GinaK stamps. 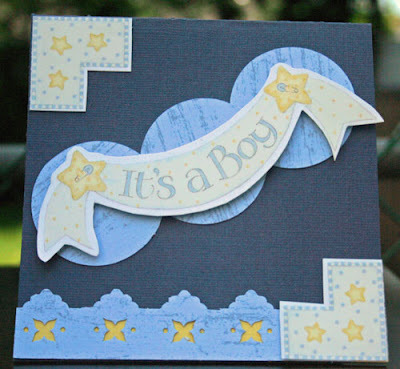 I needed a boy's birth announcement so I created this card based on the Kreaxions June sketch. I used the Circle Punch and Punch 913.